Majority of applications, about 3.9 million, came from , logically, from Brazil. 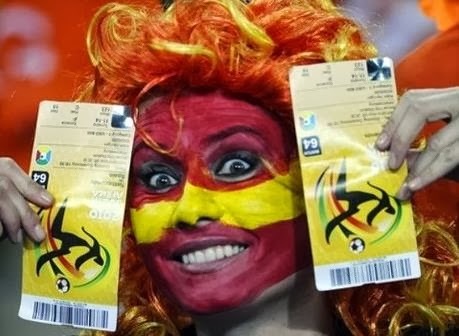 Followed by the Americans, who have applied for 269,421 tickets, then Argentines (256,777)and Germans (118,902). In the first stage in sale are let close to a million tickets, and given that the demand is much higher, the lucky ones will be decided in the lottery. The second round of sales starts on 5th November, the third 6th December, and in April will be able to buy the'' last minute'' tickets. Total sales will be released about three million tickets. World Cup in Brazil will be held from 12th June to 13th July next year.